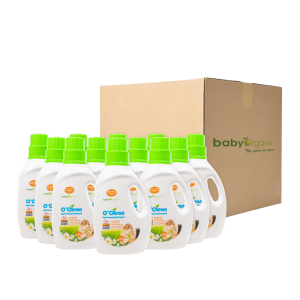 BabyOrganix's Member can earn 209 Points! 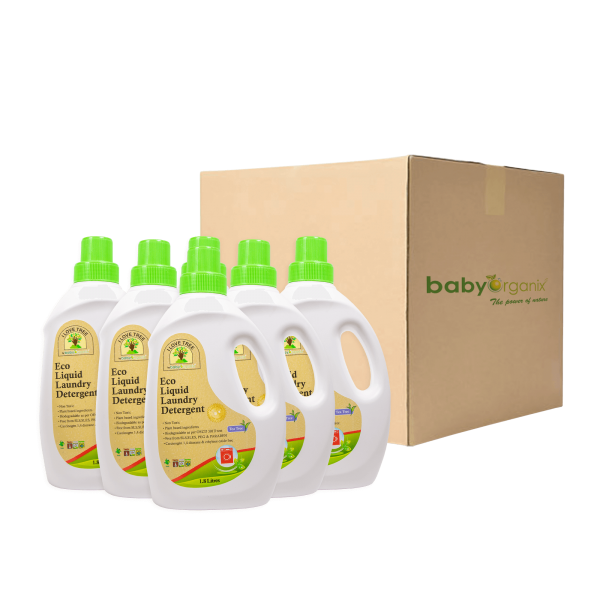 Cleaning the load of laundry will soon be so easy with I Love Tree Eco Liquid laundry detergent. Carefully made without SLS, SLES, Phosphate, Formaldehyde, Triclosan, Paraben & Optical Brighteners to ensure that these harmful toxins did not get into the water ways to pollute our mother earth while cleaning our load of love Stubborn Stains: Rub the liquid directly onto the stained area, then proceed with the normal washing cycle. Our laundry care range is packed with essential oils to leave your laundry with an indulgent botanical scent. We’ve created a luxurious scent where essential oils sit center stage. You don’t need nasty chemicals to get a good clean out of your laundry liquid. So we kicked out a bunch found in most laundry detergents and enlisted the help of mother nature. We use loads of naturally derived ingredients in our formulas. This product is Non Toxic, Plant based ingredients, Biodegradable as per OECD 301D test, Free from SLS, SLES, PEG and PARABEN, Carcinogen 1,4 dioxane & ethylene oxide free. Always check dosing instruction on the cab and remove dosing cap. Squeeze the bottle and does the excel gel using the dosing cap. Place the dosing device into the drum and wash on cold. Add fabric enhance to make the most of your wash.
Aqua, non ionic surfactant, akyl poly glucoside(APG), D’limonene, Magnesium Salt.